La Repubblica.it and other journals informs today, January 18, 2017 that 12 persons were arrested since they were caught to be involved in plundering archaeological sites in Crotone, Calabria (Southern Italy) since years and selling their finds on the black market. The group of tombaroli was lead by numismatic prof. P. G. Attianese. With him arrested was V. Godano, who would have been filmed while carrying out several illegal excavations at the temple of Hera, near Crotone (sanctuary of the VI cent. BC). The finds were then sold at the market by F. Arena (auction houses in Italy and abroad), R. Monticelli (national and international sales) and E. Palopoli (handling stolen goods locally). The latter is also the owner of a private museum with over 2,000 finds of likely illicit origin – not enough, the museum itself was also co-financed with public money (1.250.000 €) by the Regional Government in 2003, and well known to the Soprintendenza. The carabinieri confiscated numerous archaeological objects; however, many are still missing. 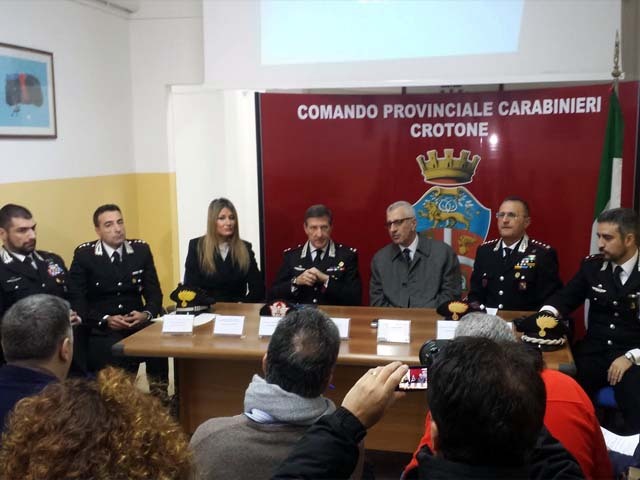 This morning, 47 house searches were carried out in Crotone, Catanzaro, Reggio Calabria, Cosenza, Catania and Reggio Emilia. Several professionals (archaeologists, numismatics) are on the list of the carabinieri, suspected of having bought archaeological finds, or contributed to the “cleaning” process of illegally excavated objects. Video showing tombaroli at the Hera temple. 2017-01-18 in Illegal excavations, Italy, Metal detectoring, Selling of unprovenanced items.